Funko is excited to introduce The Disney Afternoon Collection coming to Mystery Minis! Characters from some of your favorite side-scrolling platform games include DuckTales,TaleSpin, Darkwing Duck, and Chip 'n Dale Rescue Rangers! This series features characters such as Huey, Dewey,and Louie, Launchpad McQuack, Baloo, Monterey Jack, Chip and Dale, and many more! These 2.5" tall vinyl figures feature a cute, friendly, and super-deformed style that will look great on your shelf, and some figures are rarer than others! Build your collection today! 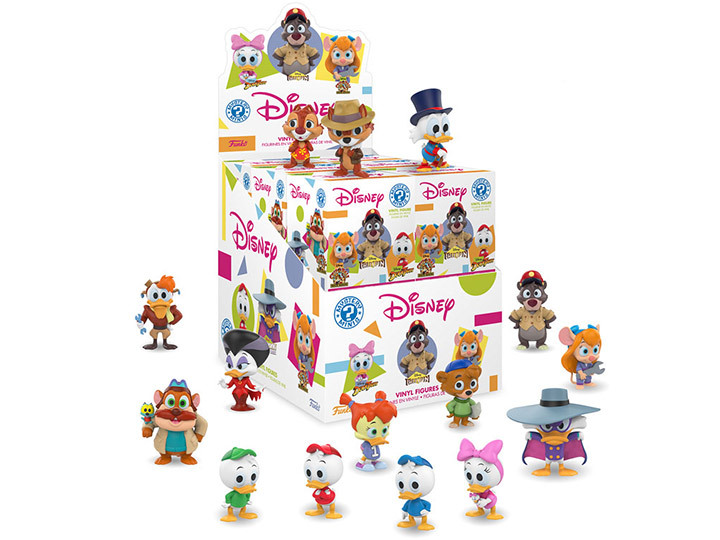 Which characters from The Disney Afternoon Collection will you get? There are a total of 15 characters to collect! 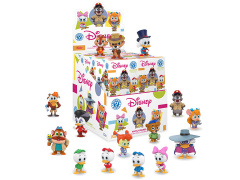 15 Possible figures: Chip, Dale, Scrooge McDuck, Huey, Dewey, Louie, Launchpad McQuack, Baloo, Monterey Jack, Kit Cloudkicker, Gadget Hackwrench, Darkwing Duck, Webby Vanderquack, Gosalyn Mallard, and Morgana Macawber.